European competition authority decision regarding state aid to Estonian Air is coming this week, several sources assure Postimees. For the third year we are waiting for the fateful decision regarding our national airline but it keeps being put off. For quite a while now, it has been said the decision is coming at the end of this year. Recently, November 6th has been hinted at. This is today. Most freshly of all, they say announcement day has been shifted into tomorrow. Last week, in cooperation with law office Sorainen, Estonian representation at European Commission arranged a briefing on Estonian Air state aid where docent in EU law and sworn lawyer Carri Ginter said he thinks Estonia has violated the state aid rules and hopes for a positive decision would be vain. «For years I have believed that, at least according to the textbook, the state aid rules have not been followed here and in one way or another the preparatory work has remained weak,» Mr Ginter told BNS. The talk for a long while has been that the decision was as good as done before the general elections in spring, but they did Estonia a favour the new government was granted time to prepare for the bankruptcy of Estonian Air. Prime Minister Taavi Rõivas says the government is prepared for either decision, positive or condemnatory. «It is up to us to ensure that from Estonia as a state that objectively is located on EU periphery flight would be possible to as many destinations as possible,» said Mr Rõivas. For that to happen in direct flights, he says we need a Tallinn-based airline. Economy minister Kristen Michal said the government is in readiness to compensate people the tickets purchased for Estonian Air flights if the decision is negative. «Estonian state has prepared for the occasion that European Commission passes a negative decision. We have considered how to inform and service, in that case, the people on a trip with Estonian Air or about to go [on one],» Mr Michal told BNS. 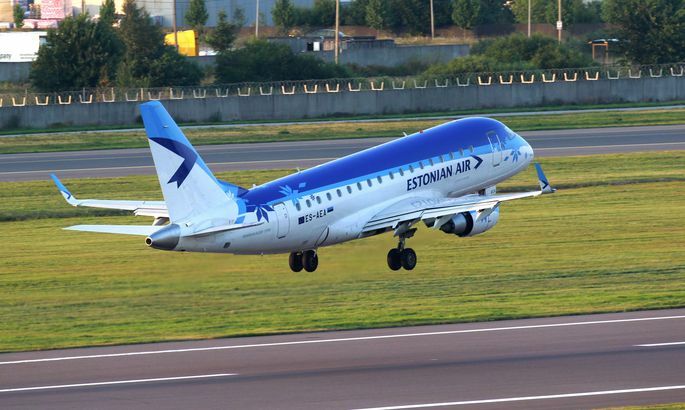 Hopes are high that several airlines are ready to take over Estonian Air’s flights. Slovenian firm Adria Airways has expressed lively interest in servicing at least two lines. At least one would be temporarily assumed by Austria’s InterSky, wrote Äripäev. Estonian Air tickets are no longer on sale over Internet via bookinghouse.ee or Sky24 portals. What they do offer is tickets for connecting flights via nearby cities. The flights comparison portal Skyscanner.net last night featured one offer to fly Estonian Air. «As is to be expected, the persistent rumours cause insecurity in those buying and selling tickets,» said Estonian Air communication chief Ilona Eskelinen. All in all, the Brussels investigation concerns a whopping €130m worth of injections of state funds into Estonian Air starting 2009. The commission is investigating whether the investments are in line with EU state aid rules or not. If judged illegal, Estonian Air must return the money to the state. As assured by all parties, the airline has no such money and the state enterprise would be bust that very instant.